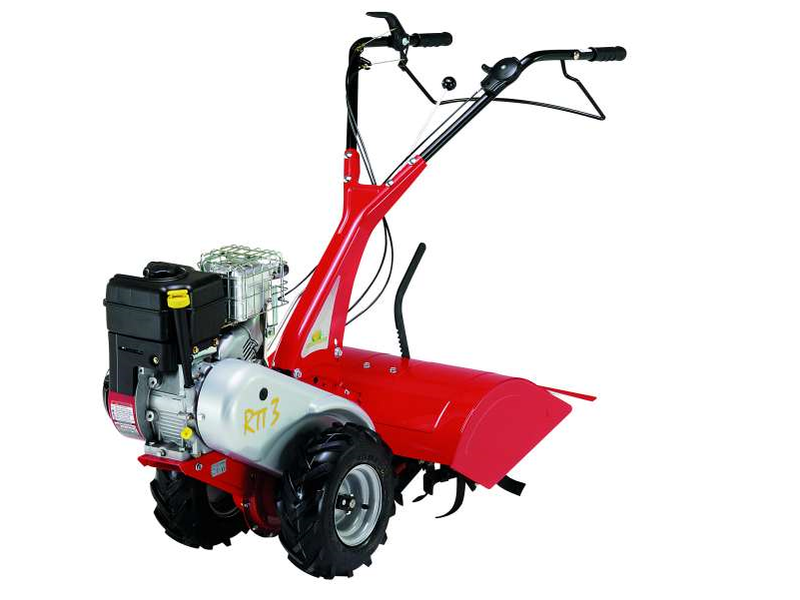 Specific for cultivating and, compared with RTT2, equipped with a more powerful engine, a 60 cm rotavator and 2 working gears. Its controls are simple and ergonomic, easy to use for the hobby users as well. It also has a disengagement system on the wheels that allows its transfer when the engine is off. It combines steady movement on the wheels with a high quality of work also thanks to its easy adjustments.